STEP 1 Cut 3 pieces of elastic around 30cm long. Thread all 3 through one Swarovski pearl. Now separate the strands and thread 3 freshwater pearls on to each strand. 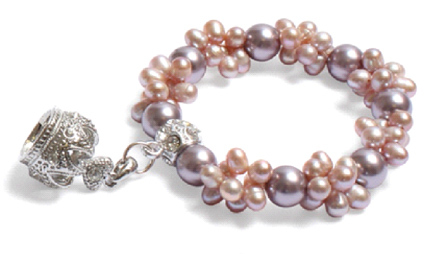 STEP 2 Repeat until you have added 8 large pearls, making sure that your bracelet ends with a large pearl either side. STEP 3 Thread on the charm carrier and knot the elastic. Add a dab of glue (or clear nail varnish) to the knot and hide underneath the charm carrier. Snip off any excess elastic. Attach the charm to the carrier using a jump ring. 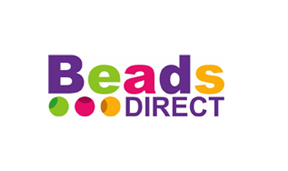 For more great tips, ideas and more videos check out the Beads Direct website! Michelle Mach's "Mostly Metal Challenge"
Beading Arts celebrates gemstones and pearls!